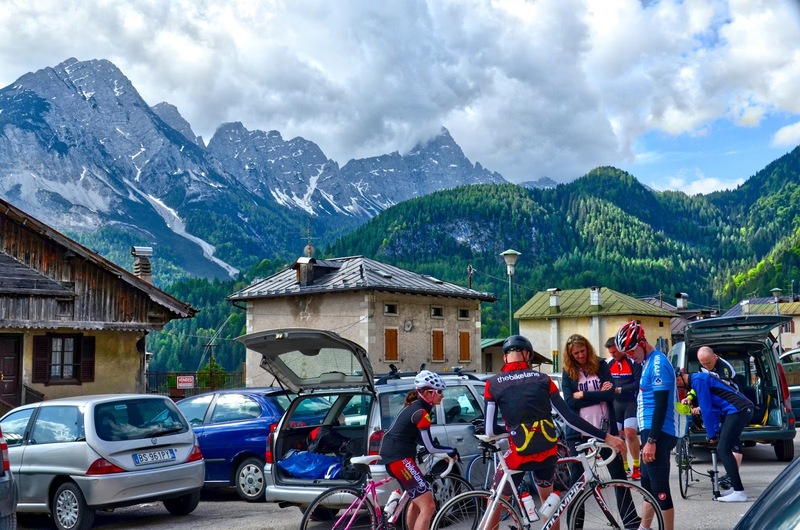 Veloce ® cycling and bike rental company : Cycling Dolomites Italy, carbon road bike rental in Cortina D'Ampezzo. Cycling Dolomites Italy, carbon road bike rental in Cortina D'Ampezzo. Our customers in Cortina D'Ampezzo ready to enjoy cycling on Dolomites mountains passes in Italy using our carbon road bike rental services.